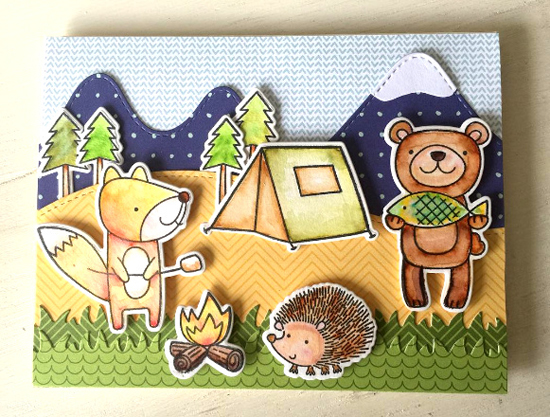 Heidi created this adorable design for our Camp Create Farewell Bonfire Challenge — Single Layer Savvy. 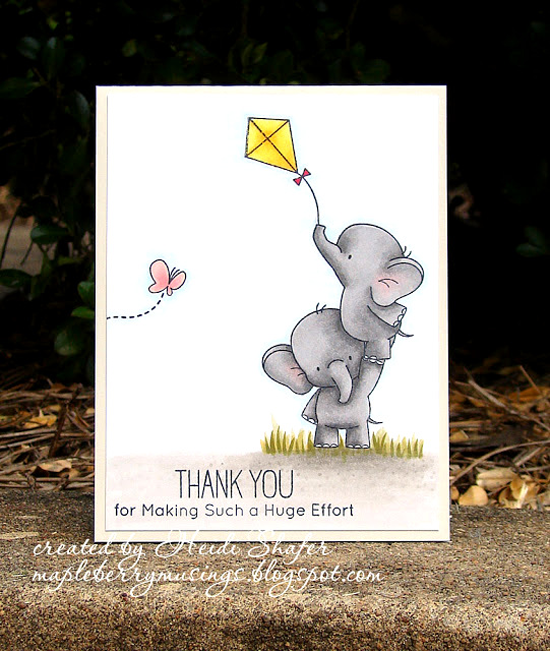 Her simply cute use of our Adorable Elephants stamp set proves that sometimes all you need is stamps, ink, and markers to create a wonderful design. Stephanie whipped up an adorable baby card combining our Essential Sentiments and Magical Dragons stamp sets with the Peek-a-Boo Polka Dots Die-namics. All of the yummy pastels make for a darling handmade greeting to welcome baby! Birka's dreamy design in shades of purple and blue expertly conveys the magic of our Magical Unicorns stamp set. I love how she created the delightful sky with a cloud mask and inking. Julene, you had me a blue polka-dotted mountains! What an adorable background for the characters from our Warm & Fuzzy Friends stamp set! 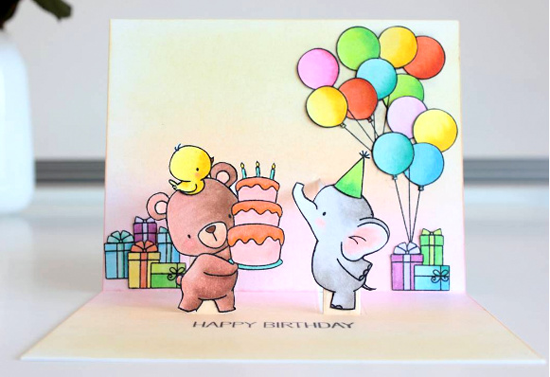 Through some trial and error, Amanda came up with this super sweet pop up card featuring three cute characters from three of our Birdie Brown stamp sets - Beary Special Birthday, Adorable Elephants, and Somebunny. Simply marvelous! Thanks for using MFT, ladies! You've left us inspired, and that's what it's all about! See you tomorrow for another great Sketch Challenge, and look for the next MFT Color Challenge on Thursday, September 22nd. Thank you so much for the shout out! I had a lot of fun making this card, one of my favorite stamp sets! Fab cards, well done everyone on being spotted! GAH!!!!!!!!!!! I'm drooling over every single one of these adorable cards! Awe Thank you so much! This just made my day!